I made the quilled heart using beehive technique . Thanks for joining us at Lulupu challenge #8 Love is in the air . lovely card, good luck in the challenges!!! 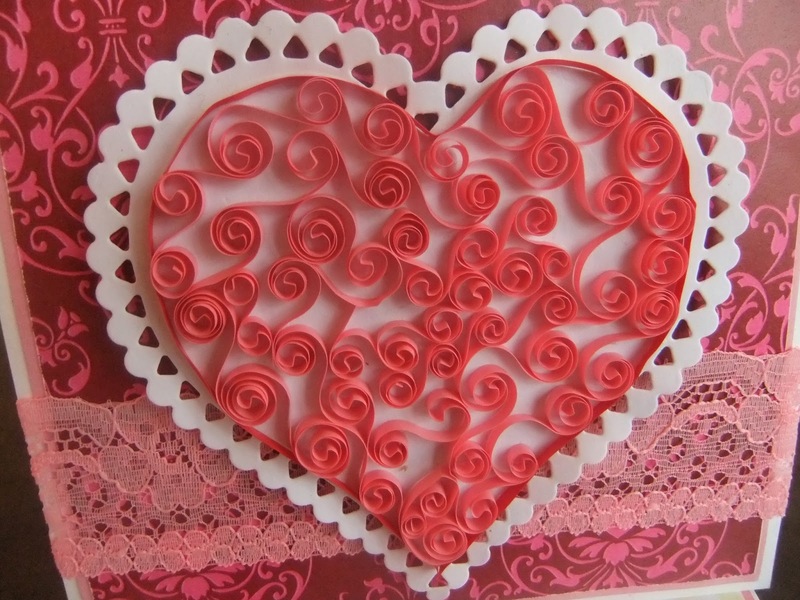 WOW...Love the detail of the quilling! Thats a lot of quilling and such a beautiful heart!.Loved it.Thanks for joining us at The Lulupu's Love Is In the Air challenge. Very neat Bee hive and sweet card. Thanks for joining us at Lulupu Challenge #8 - Love is in the air. 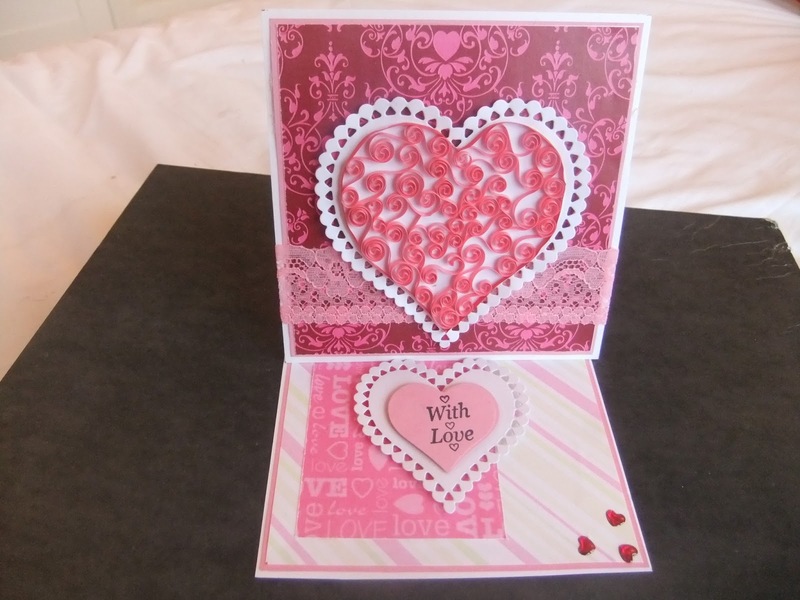 Very neatly quilled heart and a cute combination of papers! Thank you for playing with us at Lulupu Challenge#8 - Love is in the air!